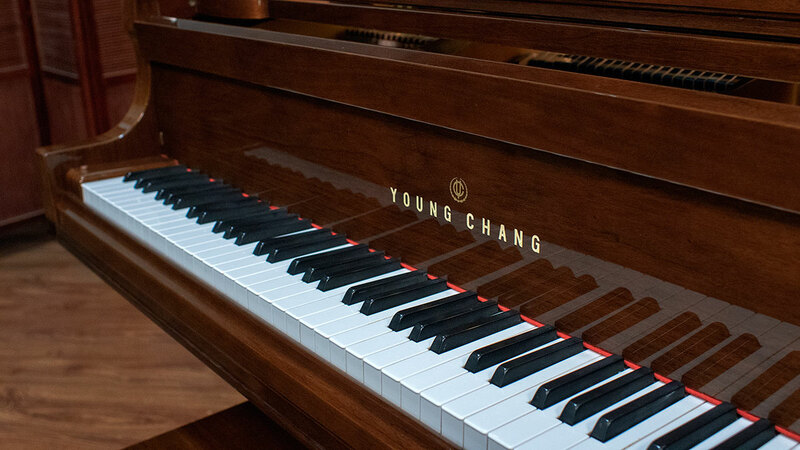 This is one of the nicest sounding as well as one of the nicest looking Young Chang grand pianos we have encountered. 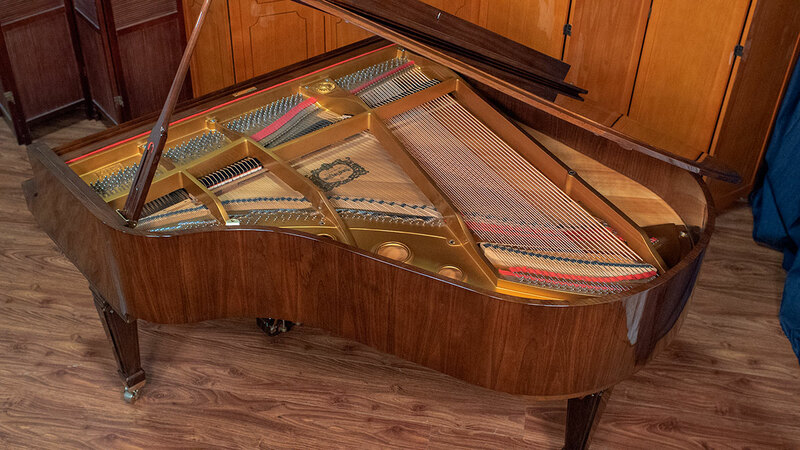 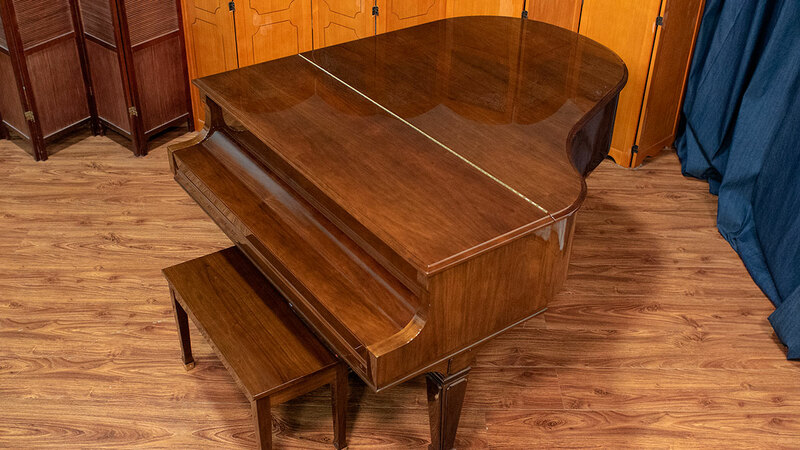 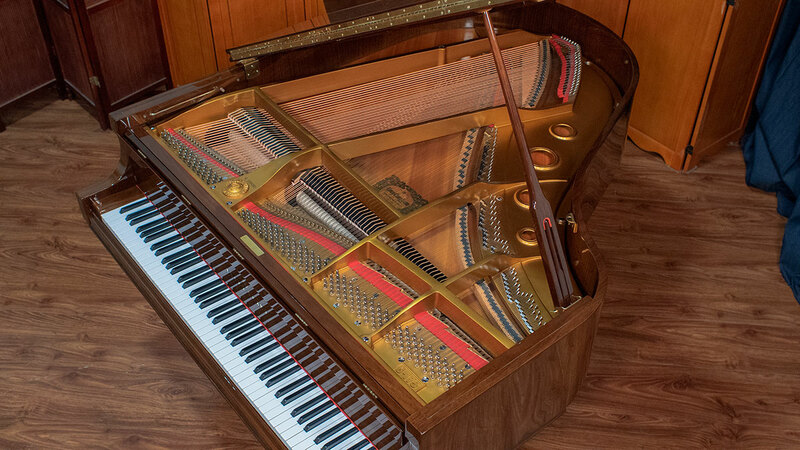 This piano is pleasing to look at from all angles and sports a tasteful Sheraton style cabinet that is beautifully appointed with walnut grain as well as some light ornamentation. 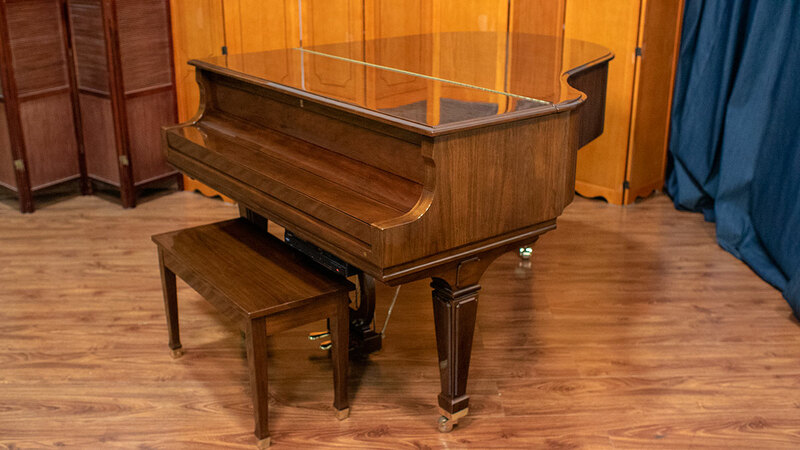 This piano also features a player system by PianoDisc you can enjoy when you’re not playing the piano. 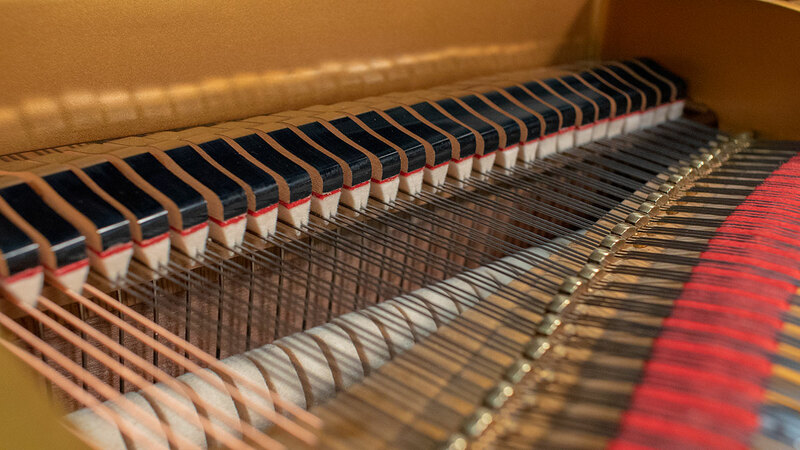 The tone is rich and crisp. 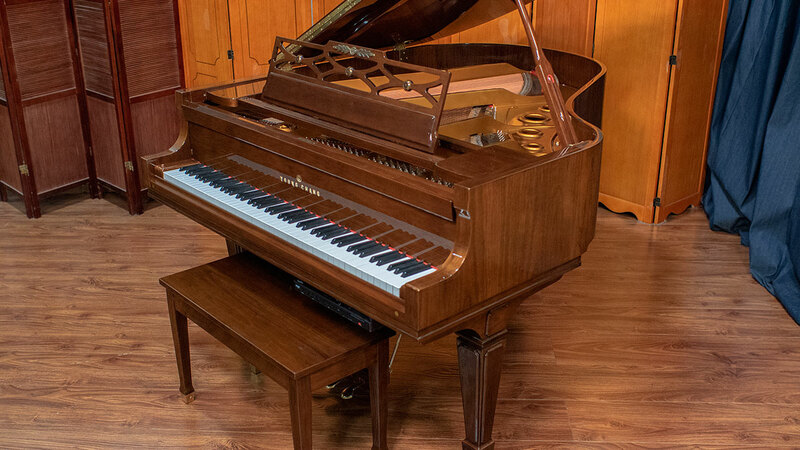 What’s nice about this piano, at only 5’ 9” it has a nice full sounding low tenor section and bass, and the breaks between registers are incredibly smooth. 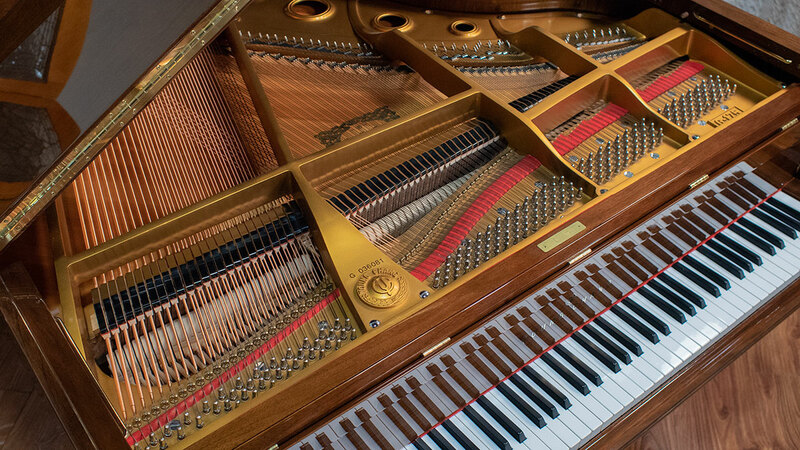 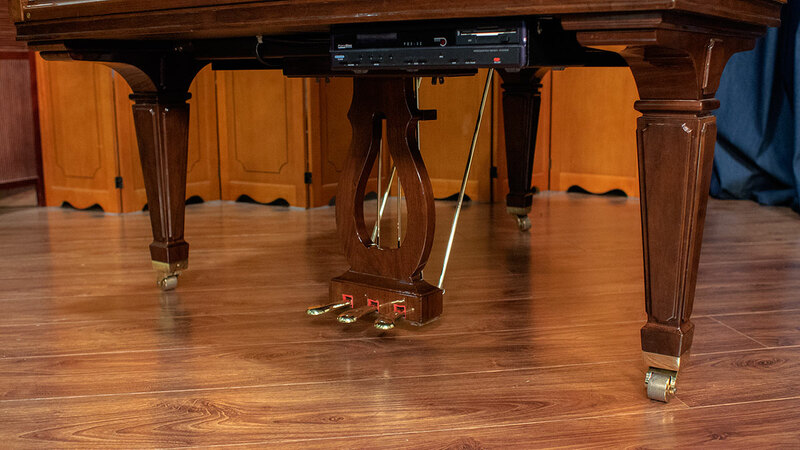 This makes this instrument stand out among other pianos in this size range. 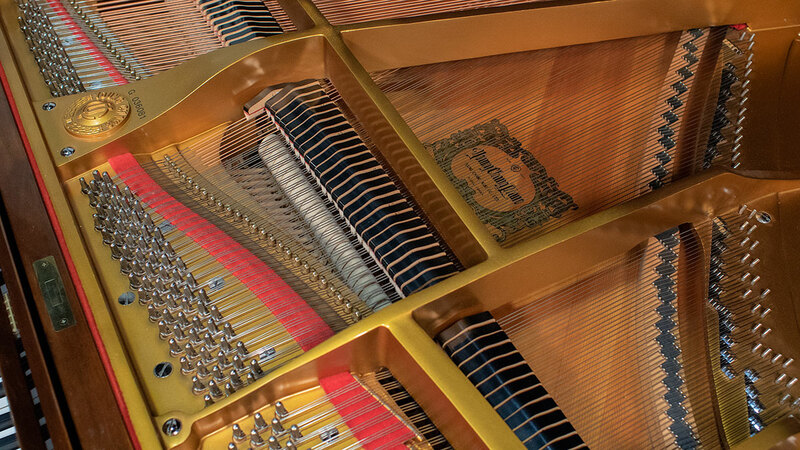 The tone is warm and it’s fun to play music that explores extreme regsiters of the piano. 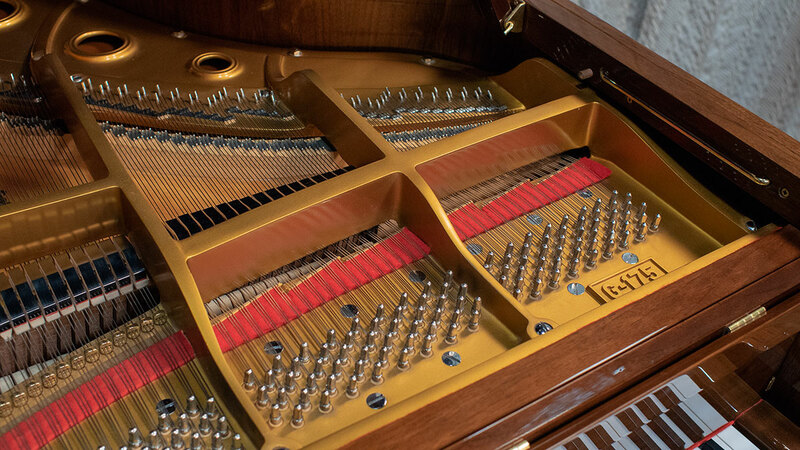 The action is quick and responsive and it is inviting to play. 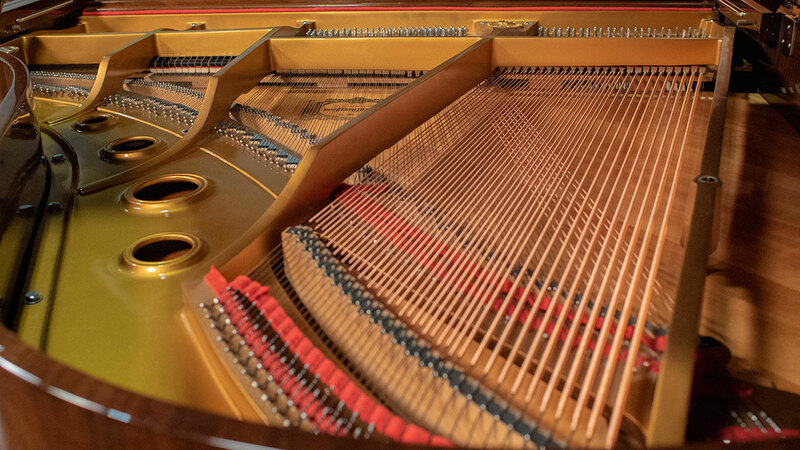 This is a piano we recommend for students as well as professionals. 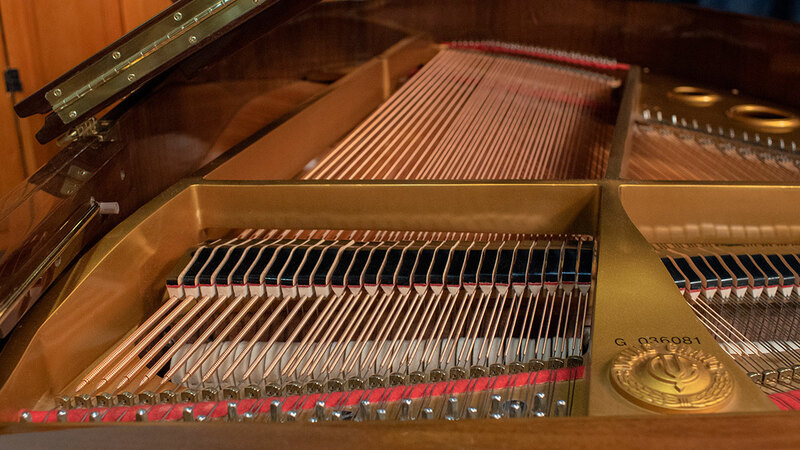 You will enjoy playing this piano!